A senior police officer said the two did not turn up there and have not been seen in their native village Jhajjar in Haryana for the past few days. JNU student Umar Khalid was shot at in a high-security central Delhi area on Monday. Two men, who had claimed responsibility for the attack on JNU student leader Umar Khalid and said that they would surrender in a village in Punjab, did not turn up yesterday, police said. A team of Delhi Police's Special Cell visited the village of Sikh revolutionary Kartar Singh Sarabha where the duo, Darwesh Shahpur and Naveen Dalal, had said they would surrender. In a video uploaded on Facebook on August 15, the duo claimed the attack on Khalid was supposed to be an "Independence Day gift" to the citizens. "We respect our Constitution. But there is no provision in our Constitution to punish mad dogs. By mad dogs, we mean the JNU gang that is making the country weaker and their number is increasing. Our elders in Haryana have taught us that such people should be taught a lesson," Darwesh Shahpur had said in the video message. The duo also requested the police to not trouble anyone and said they would surrender at the village of Sikh revolutionary Kartar Singh Sarabha on August 17. Umar Khalid was attacked on Monday when he was on his way to take part in an event at the Constitution Club here. He, however, escaped unhurt. 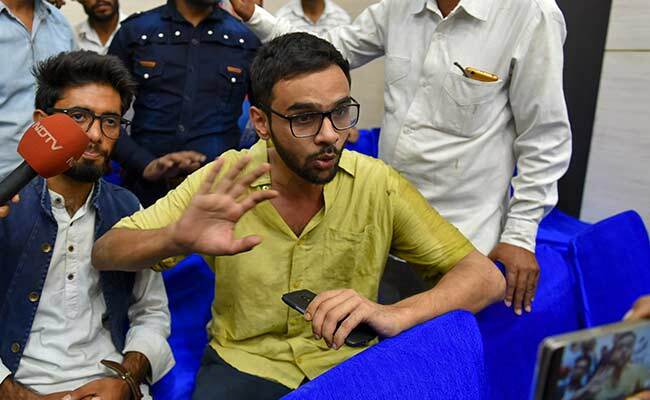 On Tuesday, the Delhi Police handed over the case to its Special Cell, which incidentally is already probing a sedition case against Umar Khalid and two other JNU students. The police had also said that they were not "intimated" about Monday's event attended by Umar Khalid. A police officer, privy to the probe, said the police had seized the weapon used in the crime and preliminary forensic examination suggested that the pistol had jammed when it was used against Umar Khalid. A case of attempt to murder has been registered by police in the incident.